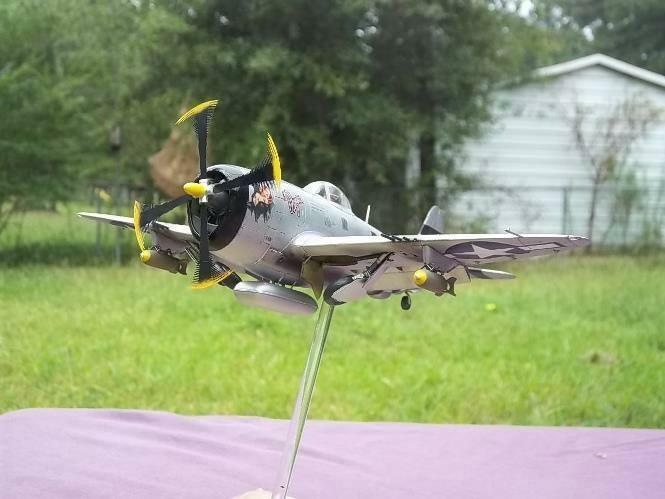 Well done Lloyd !, You can’t beat the Tamiya P-47s in 1/48 or 1/72 scale. An absolutely fantastic kit. I understand you have to let the artist discretion loose once in awhile, that’s just fine, especially when you make a good example out of it. Good work here. 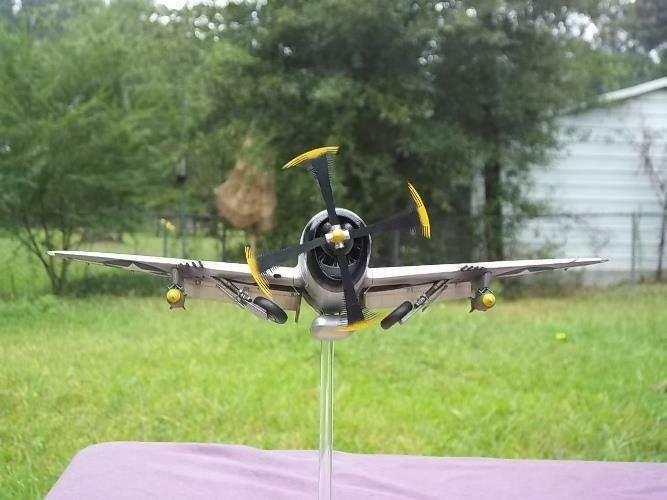 Excellent build, Lloyd (as are all of your submissions). I especially like the retracting gear – I’ve only seen a few examples modeled as such….I should try that sometime. Keep posting….you do good work! Hello Lloyd…Nice job on the Thunderbolt, especially the creative ‘action’ display. Looks mighty good to me. Lloyd, nicely posed, great idea! The nose art is certainly typical of the period, they knew what they were fighting for, plus it was on another P-47. And the idea(s) were universal, and from the same sources, Petty, and Elvgren being my favorites. 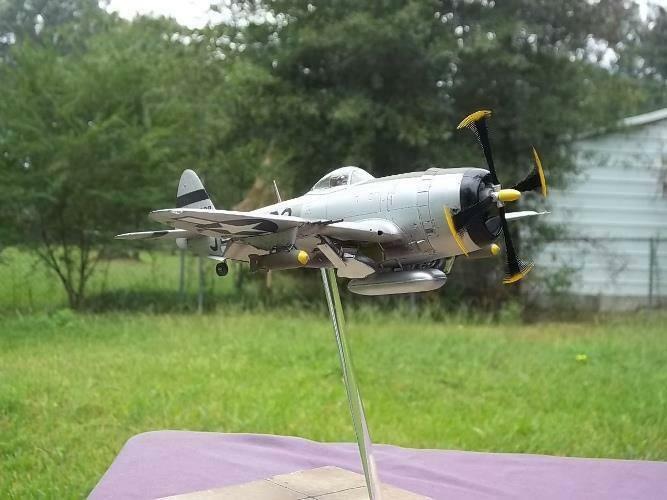 I am not worried for the markings, I am totally enjoying this P-47.